FRAME "Le High" jeans in stretch-denim with subtle fading. Approx. measurements: 9" rise, 28" inseam, 37" outseam, 10" leg opening. 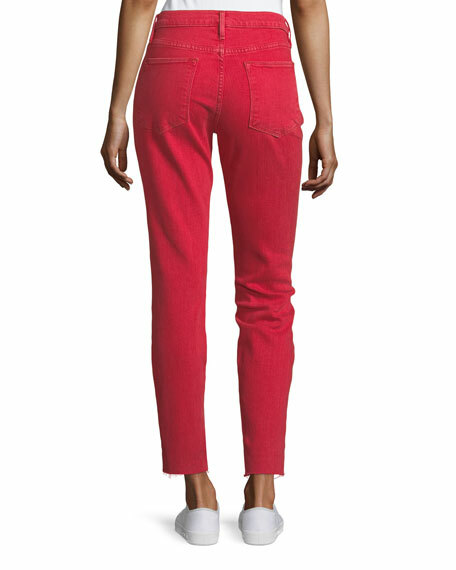 Citizens of Humanity "Rocket" jeans in super-soft velvety fabric. Approx. 30" inseam. Five-pocket style. Skinny legs. Button/zip fly; belt loops. FRAME "Rigid Rerelease Le Original" jeans in heavily distressed non-stretch denim with ripped knees. Approx. 28" inseam. 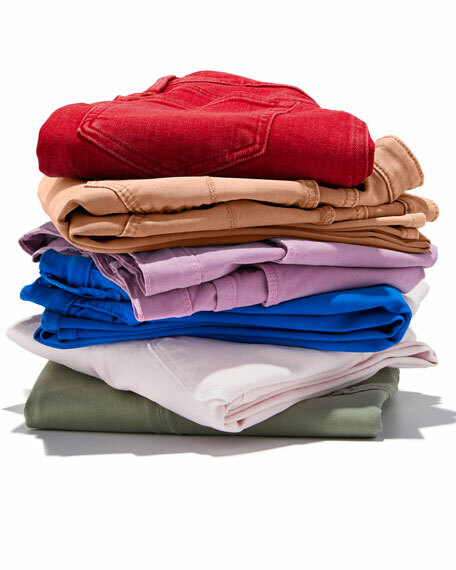 Destroyed five-pocket style. 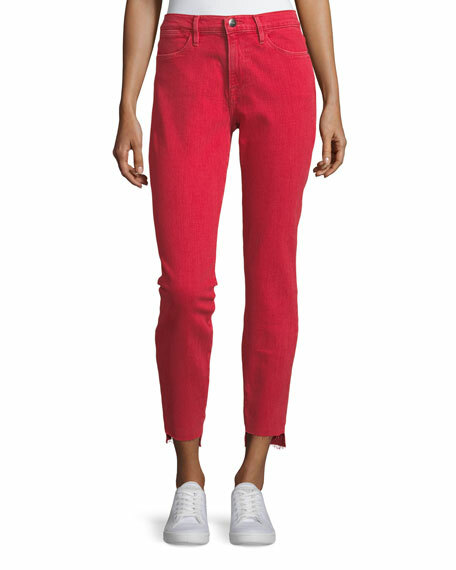 Hudson "Barbara" jeans in super stretch denim. Approx. 28" inseam. High-rise; belt loops. Five-pocket style. Fitted through skinny legs. Ankle length. Lace-up cuffs. Button/zip fly; belt loops. ... Machine wash. Made in Mexico.